Bing - will it be a cash cow or money black hole? Expect to see a lot more advertising asking you to "BING IT!" 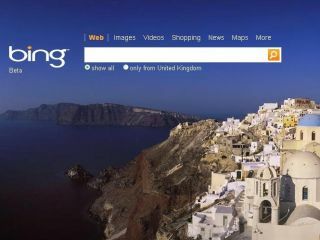 in the near future, as Microsoft CEO has set aside a hefty chunk of money for the Bing search engine. At a lunch in Chicago with business investors, Ballmer mentioned that Microsoft were willing to put as much as 10 per cent of operating income into publicising Bing for the foreseeable future. "Our shareholders, I told them we were willing to spend 5 to 10 percent of operating income for up to five years in this business, and we feel like we can get an economic return," he explained to his food friends, according to Reuters. If this is true, then $11 billion could well be thrown at Bing over the next five years (Microsoft's income a year is around $22.5 billion), which currently holds a 12 per cent share of the search market in the US. Considering the marketing so far for Bing is around a mere $100 million, we can't really see what the money will be spent on. Unless they are considering getting Seinfeld back to do a couple more ads.